Learn how to count in French. This free online French lesson covers French numbers, including both French cardinals and French ordinals. Counting is one skill you will use often when learning a foreign language. 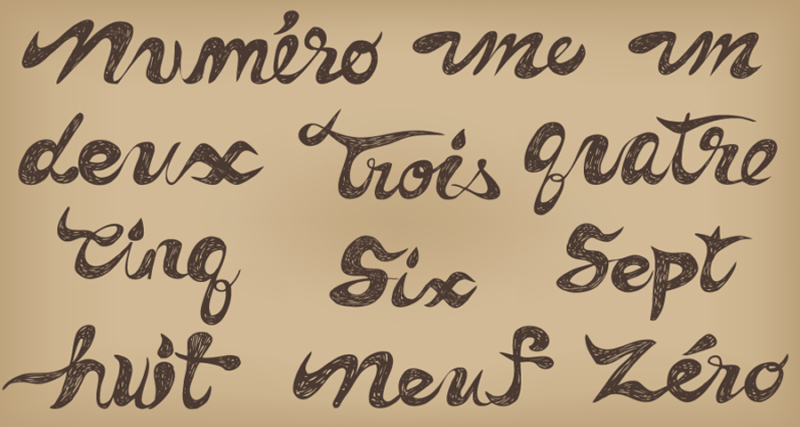 Numbers in French are pretty easy to learn – especially if you already speak English. Like many languages around the world, French cardinal numbers use the Arabic number system, just like English. So the number “1” is written exactly the same in French as it is in English, as are all the other numbers. So why did I use that fancy word, “French cardinal number” before? Well that’s because in every language, cardinal numbers and ordinal numbers are totally different, and this represents a challenge for every students, at least at the beginning. But do not worry, challenges in language learning are there to be overcome, and with practice, everybody can master French numbers. So, let’s begin by learning what exactly means to talk about an ordinal number or about a cardinal number. French cardinal numbers are regular mathematical numbers like 1, 2, 5, 50, 500, 1,047 and so on. French cardinal numbers count specific items and are used in mathematics. French ordinal numbers, on the other hand, are not used to count, but to show order. Ordinal numbers also exist in English, and as in any other language, they are used to describe a list of things. Examples of ordinal numbers in English are “first” and “second” and “fifth” and so on. To form other ordinal numbers, you simply add the ending of -ième to the regular cardinal numbers. Finally, it is important to know that in French, we use the cardinal numbers to describe dates or names of monarchs. Only in the case of premier/première do we use ordinal numbers instead. For instance, le premier mai vs. le douze octobre.